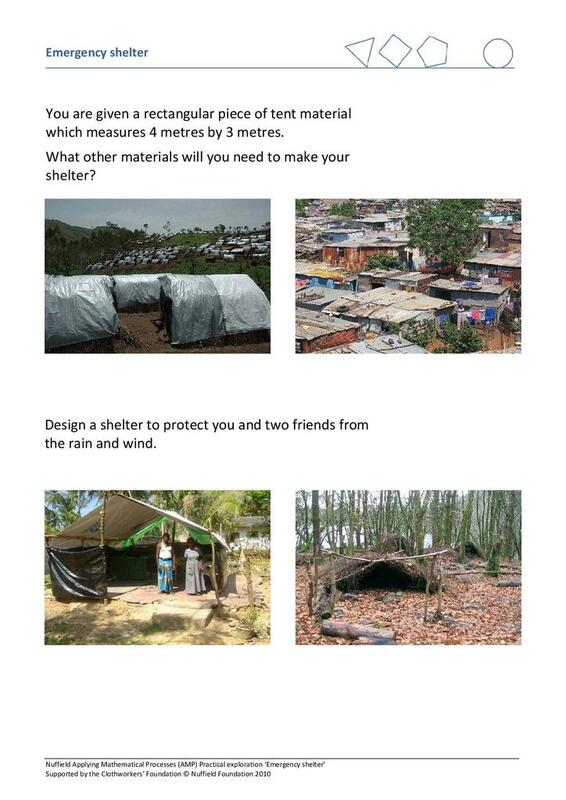 This Nuffield task is to design an emergency shelter, using a 4m x 3m rectangular piece of tent material, to protect three people from wind and rain. 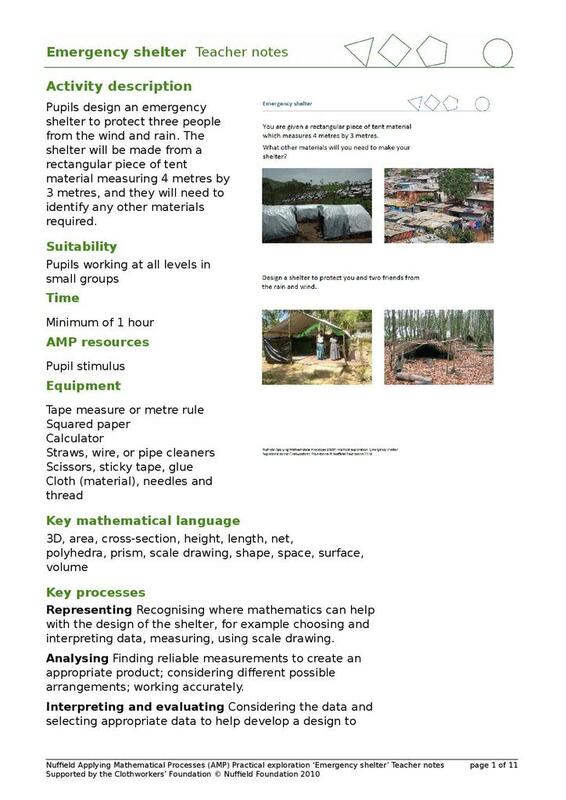 *Representing - recognising where mathematics can help with the design of the shelter, for example: choosing, interpreting data, measuring and using scale drawing. 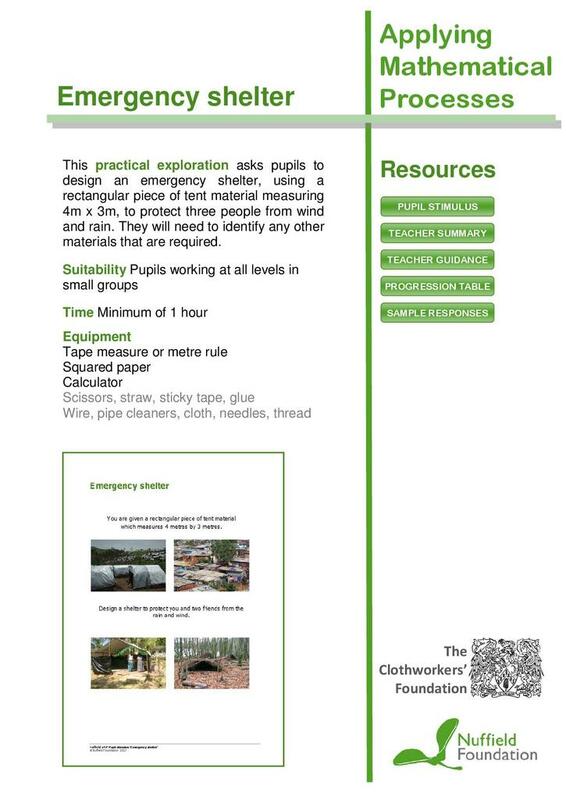 *Analysing - finding reliable measurements to create an appropriate product, considering different possible arrangements and working accurately. 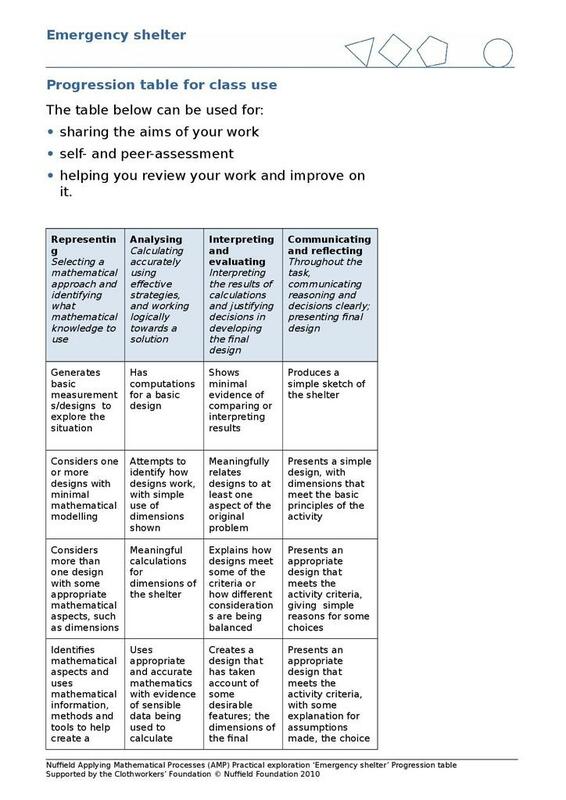 *Interpreting and evaluating - considering the data, selecting appropriate data to help develop a design to meet criteria and justifying chosen design. 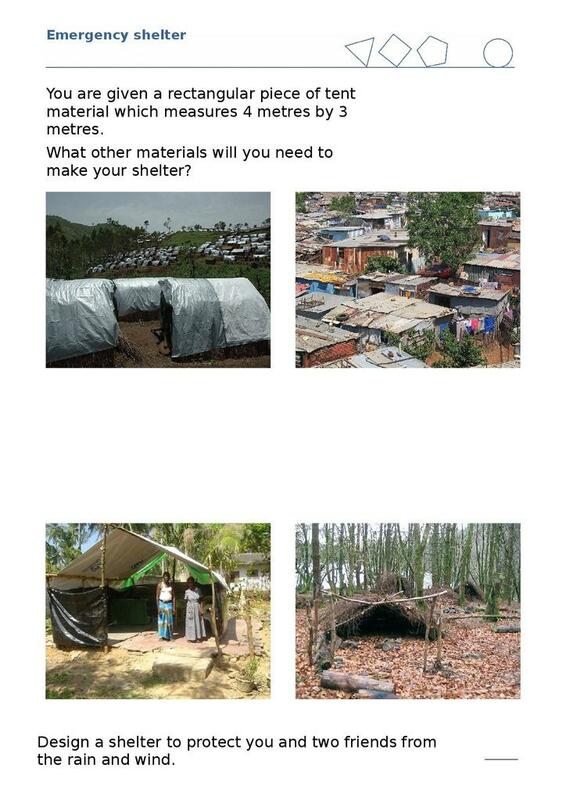 *Communicating and reflecting - producing a clear design with appropriate measurements and explanatory commentary, consideration is given to rejected designs.